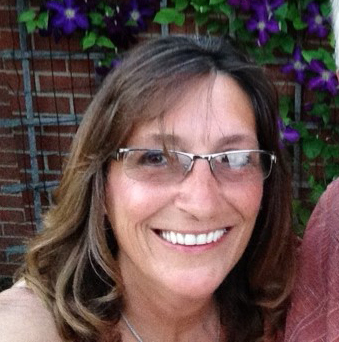 Susan “Suzie” K. Berg, 55, passed away on February 7, 2019, at 7:25 am, Heritage Manor Skilled Nursing & Rehab Center, surrounded by her loving family. Susan was born April 18, 1963 in Lima, OH, to Robert and Joan (Marker) Gehr who both preceded her in death. Susan graduated from Spencerville High School in 1981. She and Ned attended New Knoxville United Methodist Church. She loved working at Otterbein St. Marys SeniorLife Community, she had a special gift with working with the elderly. Susan also worked at Kah’s Nursery, where she enjoyed caring for various plants. Susan found great joy in putting a smile on everyone’s face. Agape Ministry Inc was one of her favorite places to shop, she found so many great deals and felt very proud in the decorations she would purchase. Susan also loved spending time with Ned, they both found enjoyment in flying around the area in his Cessna 172. They also loved going on sporadic adventures. She is preceded in death by her sister, Carolyn Herold. Visitation will be held on Tuesday, February 12, 2019 from 4:00PM to 8:00PM at CHILES – LAMAN FUNERAL HOME, SHAWNEE CHAPEL. Memorial contributions may be made to Agape Ministry Inc., 1220 E Spring Street, St. Marys, OH 45885 or to the family during this difficult time.